The individual accommodation units at Sossusvlei Lodge are carefully laid out to perfectly blend in with the magnificent surrounding natural environment. Each luxury unit offers a fully air-conditioned bedroom, en-suite bathroom and a patio to enjoy the views of the roaming wildlife and incredible Desert landscapes. 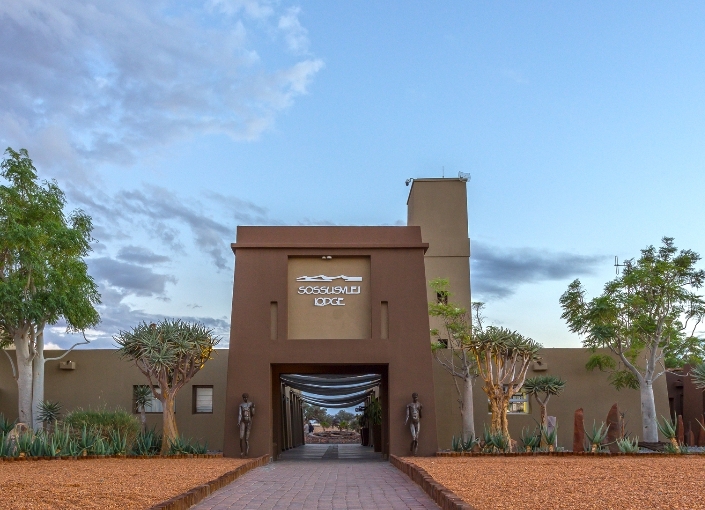 The Sossusvlei Lodge Adventure Centre provides a range of activities including Guided Excursions, Sun-downer Trips, Quad Buggy Nature Drives, Hot Air Ballooning, Scenic Flights and much more to explore the area’s natural beauty.